Juventus F.C. plays a friendly match against the Singapore Selection, the first football match held at the National Stadium on Aug 16, 2014. And it was Pirlo who scored the first ever goal at the iconic dome-shaped stadium, beating Singapore goalkeeper Hassan Sunny with a low free-kick from the edge of the area. He made it 2-0 with a penalty one minute before half-time. 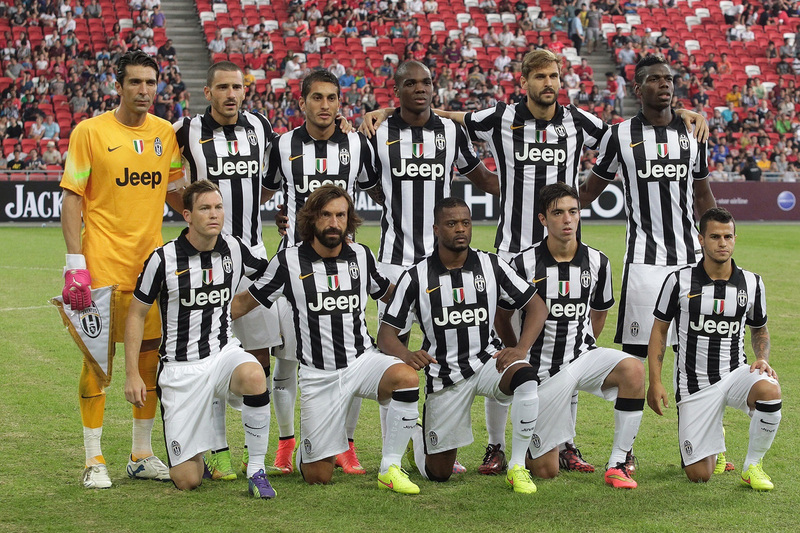 In eight days' time - a clash between 30-time Italian champions Juventus and a Singapore Selection side. In two months' time - a blockbuster international friendly between five-time World Cup winners Brazil and Asian champions Japan. For Singapore football fans already thrilled with the prospect of such matches at the $1.3 billion Singapore Sports Hub, event organisers World Sport Group (WSG) has said that this is just a sign of things to come. Said Malcolm Thorpe, vice-president of sports development and events at WSG: "With a top-notch venue like the Sports Hub, Singaporeans will have the chance to experience the best of the best. "WSG is delighted to bring two of the world's top football teams here in October, and we look forward to adding even more quality events to the local sporting calendar." There is certainly no lack of opportunity, with top European teams increasingly keen on playing friendly matches in Asia. Last year, seven English Premier League (EPL) clubs, as well as Spanish giants Barcelona, toured in Asia during the pre-season. They included Manchester United (Thailand, Japan, Hong Kong), Chelsea (Thailand, Malaysia, Indonesia) and Arsenal (Indonesia, Vietnam, Japan). The Barclays Asia Trophy, featuring three EPL sides and a host national team, could also hit Singapore shores next year. Last year, EPL chief executive Richard Scudamore said the National Stadium is "in contention" to stage the biennial tournament's seventh edition. The mouth-watering prospects have football fans rubbing their hands in glee. Manchester United supporter Harvinder Singh, 26, a teacher, said: "As fans, we always want to watch the best teams in the world live, and the Brazil vs Japan fixture is the type of match the Singapore Sports Hub should look to host from here on. "I hope to see more EPL teams and top-ranked countries coming to Singapore in the future." Technical officer Rizdwan Yunos, 31, agreed: "Normally we can see the stars only on TV so this is a very exciting development. "It would also be great if the teams can have some form of interaction with our national team. "We might not be at their level but it will still be good exposure to train or play a practice match with the big teams." However, there are concerns that these star-studded events might be a tad too costly. The cheapest ticket for the Juventus match, for example, costs $45. Rizdwan, a father of three, said: "I hope the ticket prices can be fairer than the Juventus match. "It's quite costly to bring the entire family down to watch." This article was first published on Aug 8, 2014. Italian Serie A champions Juventus beat a Singapore Selection side 5-0 in a friendly match at the new National Stadium, making history on Saturday night. It was the first football match ever played at the 55,000-seater arena at the newly-opened Sports Hub. They game attracted a crowd of over 27,000 football fans. Italian midfielder Andrea Pirlo received the loudest cheers whenever he touched the ball. He scored the first ever goal at the iconic dome-shaped stadium. 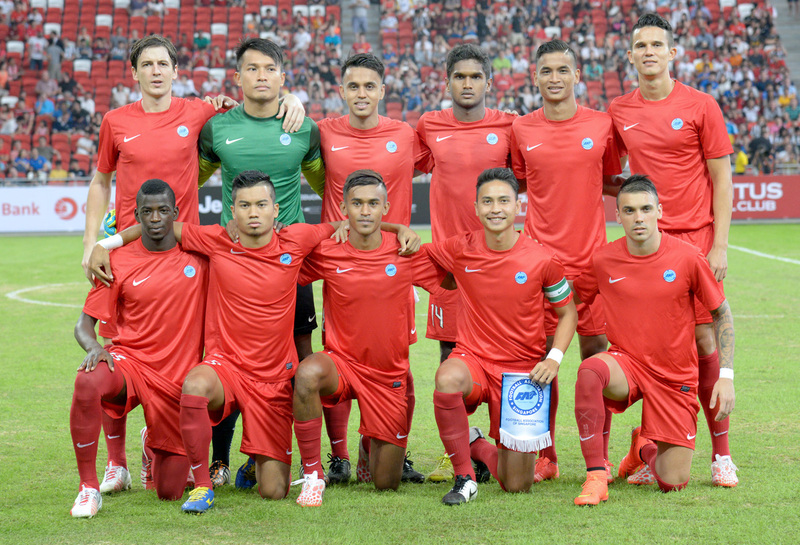 Team picture of the Singapore selection side. Juventus FC forwarder Fernando Llorente (C) in action. 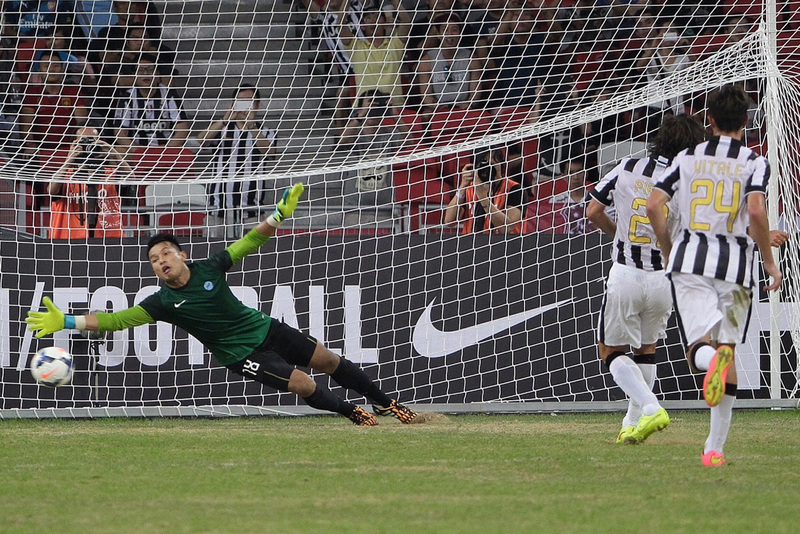 Juventus FC forward Sebastian Giovinco (R) attempts a goal against S'League Singapore selection. Juventus FC forwarder Fernando Llorente (C) fights for the ball against S'League Singapore selection defender Safuwan Baharudin (R). Juventus FC forward Sebastian Giovinco in action. Singapore goalkeeper Hassan Sunny attempting a save. Juventus' Patrice Evra (right) in a duel with Al-Qaasiy Abdul Rahman. Giorgio Chiellini collects the match trophy. 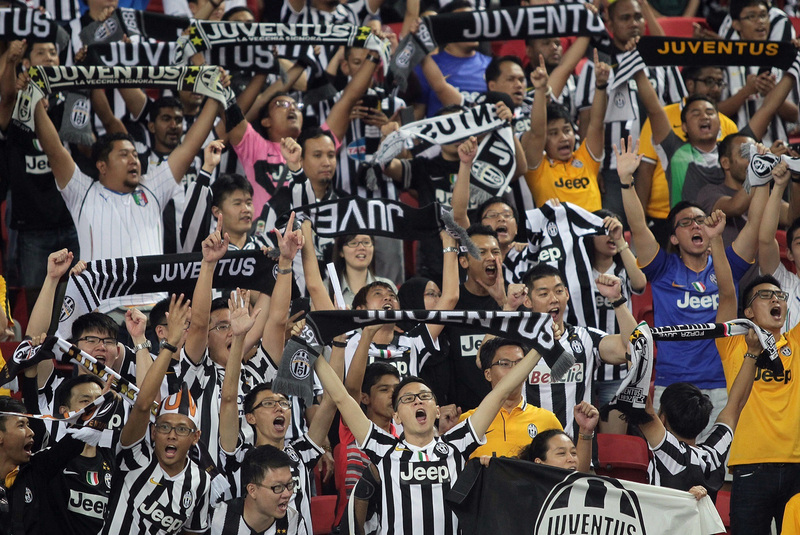 Juventus fans in the crowd at first football match held at the National Stadium on Aug 16, 2014.